My name is Bridgett Raffenberg and 365Cincinnati is my blog. What started out as a personal goal to get out and do some new things has turned into a quest to bring Cincinnati residents and fans together – to shine a light on the great things our fine city has to offer. Each day, every day, for 365 days straight – For the first year we went out and did something every single day. We’d come home and then write a post all about it. Now that we’re well beyond our fifth year, our posts aren’t happening every day but we are certainly still out enjoying this fine city! Along the way we’ve learned about all kinds of new places, tried new things, ventured inside places we’ve always said we’d like to stop into, and have learned about so many places we never knew existed (thanks to all of your great comments). What started out as a fun project for ME has blossomed into something I never imagined. At some point this idea went way beyond my own little adventures and became much more. This blog and the Facebook page have connected Cincinnati lovers from all of the city, the area, and the country. We’re all “hometown proud” – no matter where we currently live. And the blog has given us all a place to come together in an effort to enjoy everything that makes Cincinnati the great city that it is. The blog has gone on to bring people together offline too. 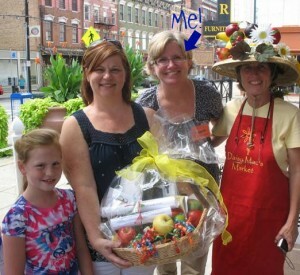 We hosted our very first Scavenger Hunt at Findlay Market, we had “meetups” at the Butterfly Show and the Rollergirls game. We host tours all over town. 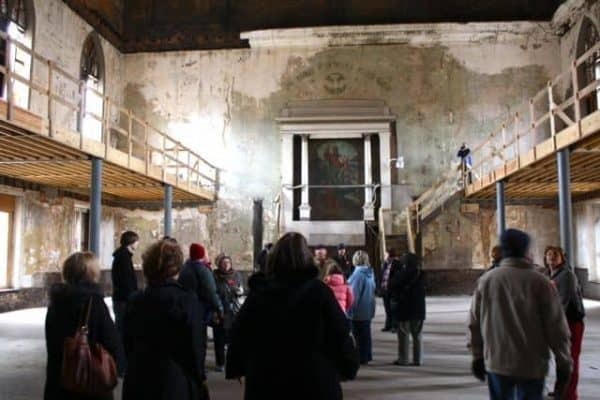 Some of our tours have been: a “VIP Behind the Scenes Tour” of Music Hall, a tour of the Isaac Wise Temple, The Rookwood Pottery, City Hall, Photo Walks, etc. I hope you’ll join us on the quest to experience our city. Read about all the great places we’ve been and the fun things we’ve done. And then get there out and explore our fine city too! Cincinnati has soooo much to offer – you just have to go find it! And I hope 365Cincinnati will help you do that! If you have a suggestion for something we should do, please feel free to shoot me an email (Bridgett at 365Cincinnati dot com). You might also like to visit our 365Cincinnati in the Press page. How did you get started with this whole 365Cincinnati thing? I was listening to a podcast about a man who was operating his own 365 site in Portland. I LOVED the idea and knew it would be a great way for me to reconnect with my husband (we’re recent empty nesters). That night I threw the blog together and bought the domain and got started. My first post (April 9, 2010) was on Sharon Woods. What’s your favorite thing out of them all? There are so MANY! If I had to choose a few they would be the Stratus Helicopter Ride, the discovery of Abby Girl Sweets/Cupcakery , and the overall discovery of Over the Rhine.